The Labor Government is under increasing pressure from The Greens and environmental groups over its decision to allow dingoes in WA to be considered the same as wild dogs for the purposes of trapping and killing. 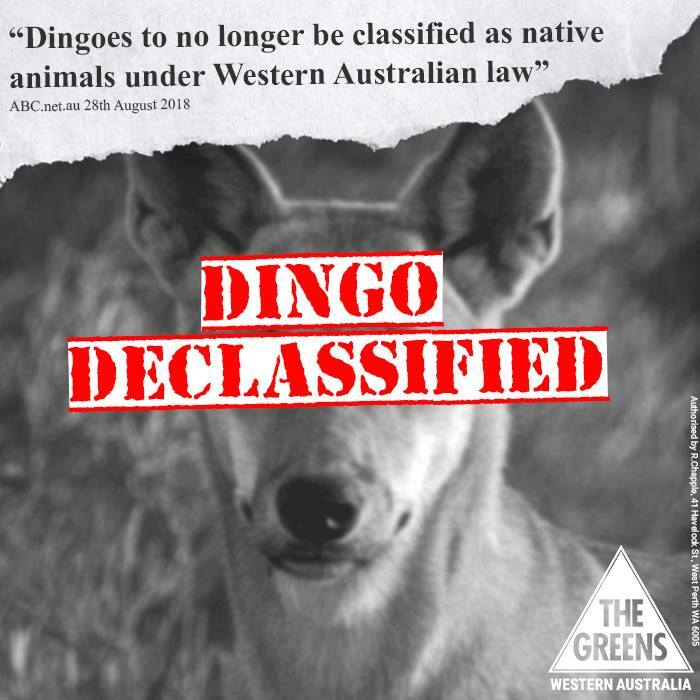 Questions in Parliament last night by Greens MP Robin Chapple revealed that a change from native fauna to non-fauna will result in even less protection for dingoes, which will be killed without the need for a license. While dingoes currently have patchwork protection in some parts of the state, the classification of dingoes as non-fauna will effectively remove even that patchwork protection. “We are concerned at the prospect of dingoes being shot on sight as one would for a wild dog – they’re not the same and I think that many West Australians would want to be reassured that there are some protections in place. “The Minister revealed that wild dogs are shot on sight by Department staff even on unused pastoral leases, despite saying that the Department ‘will continue to manage occurrences of the dingo for their cultural and ecological significance on lands that it manages,’” said Mr Chapple.